India. Marriage of the Innocents. 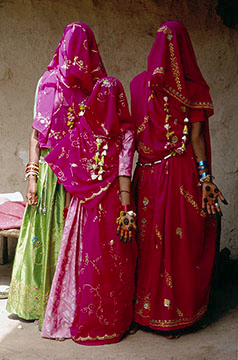 Although illegal, the custom of child marriage still survives in India. That is the tradition. Gandhi himself was married at 12. That was in 1882... More than a century later, each year, in remote villages of Rajasthan, the land of Maharadjahs and all over India, thousands of children are married during the Akkah Teej Festival.